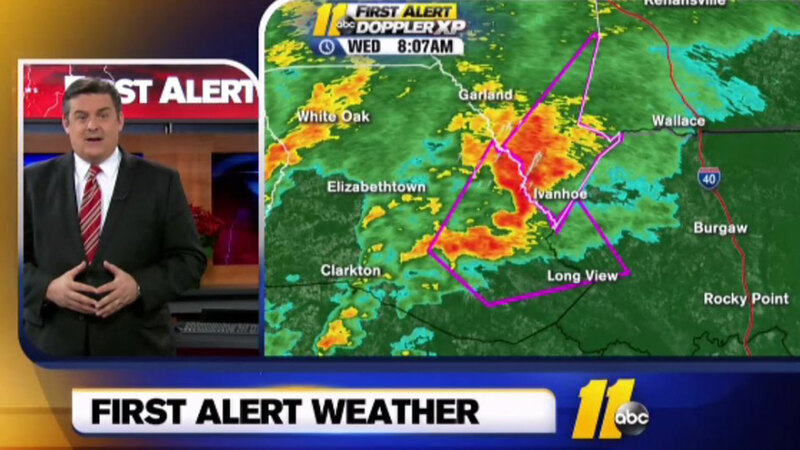 SAMPSON COUNTY (WTVD) -- The National Weather Service issued a tornado warning for southern Sampson County Wednesday morning after ABC11 Meteorologist Don "Big Weather" Schwenneker said a storm in the area was capable of producing a tornado. The warning was issued for the area just south of Clinton around 8 a.m.. It was later canceled around 8:30 a.m. There were no reports of tornado damage. The warning was issued just minutes after the National Weather Service issued a tornado warning for southern Bladen County. There was also a flood alert for the Haw River in Chatham County due to heavy rain from the storm.